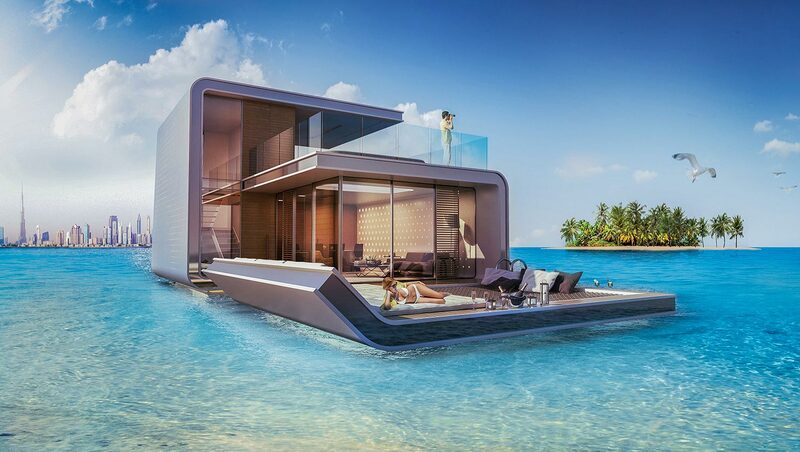 Dubai plans to have a luxury villa floating on water called "The Floating Seahorse" will actually become a reality. Developer is Kleindienst Group has managed to create a "Floating Seahorse" in the middle of "The World," a project of artificial islands off the coast of Dubai. 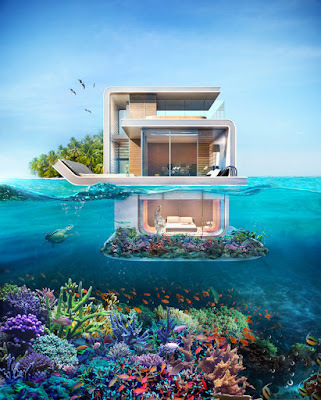 The structure of the villa built by Kleindienst Group is already equipped with furniture and this time they focused on building amid the coral gardens. Overall, Kleindienst Group will build 42 villas in the location. However, Kleindienst Group makes the structure villa can not move and only be docked on artificial islands, "The Heart of Europe" which is part of "The World." According to the plan, those 42 villas will be completed all at the end of 2016 and has been sold to investors. The Floating Seahorse is kind of the first structure of a series of steps made by Kleindienst Group. They claim it will build 131 houses in the vicinity of "The World." 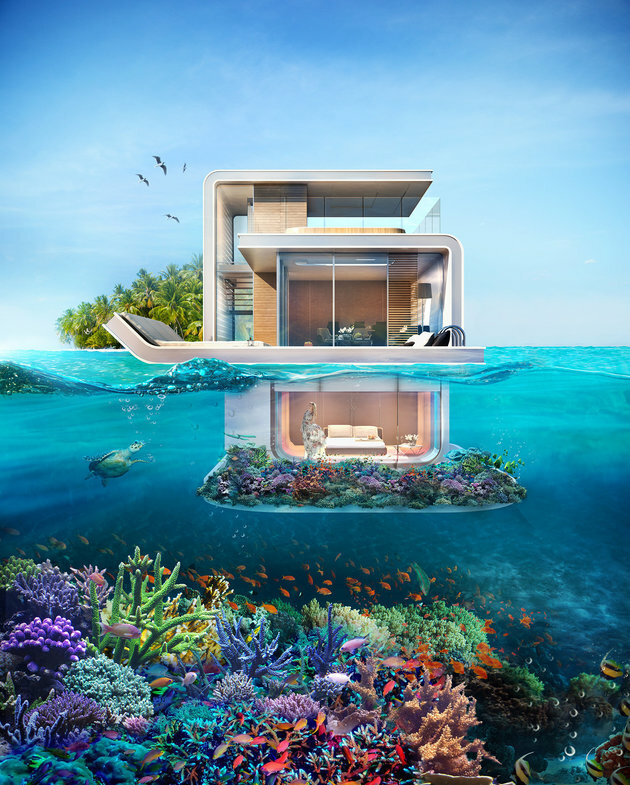 Giving the name "Floating Seahorse" as the headline of this project recognized by Kleindienst Group associated with efforts to protect marine life in the Persian Gulf. "We're going to make artificial reefs under the luxury villas will be marine protected areas so that seahorses can live and breed safely," said representatives of Kleindienst Group. While coral gardens in the construction phase, only time can prove be a decent habitat for marine species live. Villa sold for US. $1.8 million, or around Rp. 23.7 billion, it has three floors which are designed to give the surrounding landscape. The top floor is an outside patio that has a window to see the sky. The second floor contains a kitchen, dining area, family room, a mini bar and a Jacuzzi. The bottom floor there is a bedroom and bathroom.